The St. Christopher Air and Sea Ports Authority (SCASPA) is reporting more than a 30 percent increase in cruise ship passengers and a four percent drop in arrivals in December 2009 compared to the same month the previous year. SCASPA’s Department of Finance and Statistics indicate that 92,450 cruise passengers disembarked in December 2010 compared to 69,498 passengers in December 2008, an increase of 33 percent. 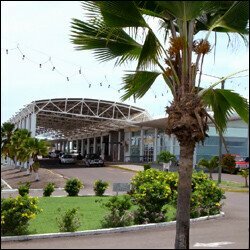 Although registering a 16 percent drop in incoming flights at the Robert L. Bradshaw International Airport, passenger arrivals decreased less than five percent in December 2009. Statistics indicate a total of 12,794 passengers arrived in December 2009 compared to 13,377 passengers in 2008, down 4.36 percent. Departures increased 3.38 percent numbering 11,306 passengers in December 2009 compared to 10,936 in 2008. In December 2009, LIAT accounted for 4,959 passengers arriving, American Airlines accounted for 4,180 passengers; American Eagle, 1,367 passengers; Delta Airways, 622 passengers; British Airways, 490 passengers; US Airways, 341 passengers and Sky Service, 390 passengers. SCASPA reports that of the 92,450 cruise passengers who visited in December last year, 12,664 came aboard the Carnival Victory; 9,220 on Ventura; 4,937 on the Norwegian Dawn; 4,639 on board the Carnival Miracle; 2,443 aboard the Queen Mary 2; 2,462 aboard the Caribbean Princess; 2737 aboard the Grand Princess; 3,326 on the Ruby Princess.